Since 1964, Consolidated Equipment Company has been serving the industrial heat treating industry with integrity and loyalty. Our commitment to a customer first philosophy has made us a first choice of companies in providing their used heat treat equipment needs for over 40 years. 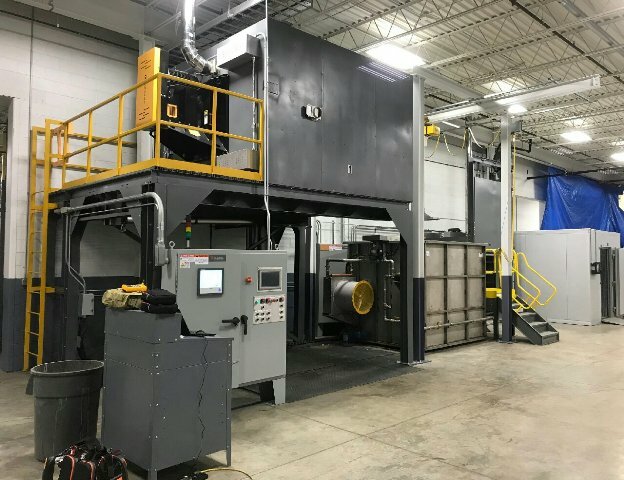 We offer for sale used heat treat equipment, industrial ovens, cleaning equipment (washers and shot blast), rebuilds and conversions, and through our wide ranging contacts in the industrial heat process field, we can provide you with the equipment you need from stock or direct from one of our customer plants. If you are in need of turning idle assets into cash, we can buy your surplus equipment directly, or market the equipment efficiently and quickly from your factory floor. WE SELL NEW OVENS STANDARD SIZES AND BUILT TO YOUR SPECIFICATION, CALL US FOR A QUOTATION. NEW DROP BOTTOM ALUMINUM FURNACES GAS OR ELECTRIC, ALL SIZES WITH AGING OVENS TO MATCH.